Don't use the brackets in the argument! 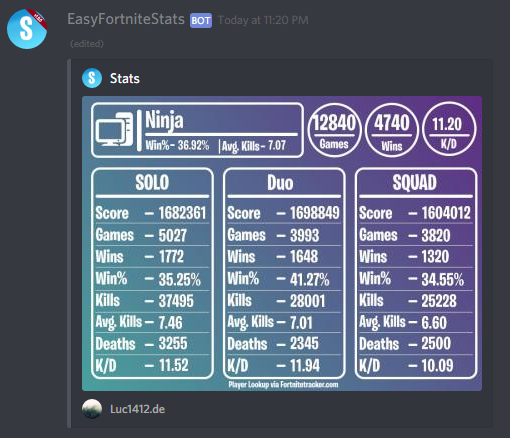 !fn Display the stats of your Linked Account. !fn <Discord User¹> Display the stats of the requested user(if linked). !fn <Player Name> Display the stats of the requested account. !fn challenge Display the solutions for the weekly challenges. 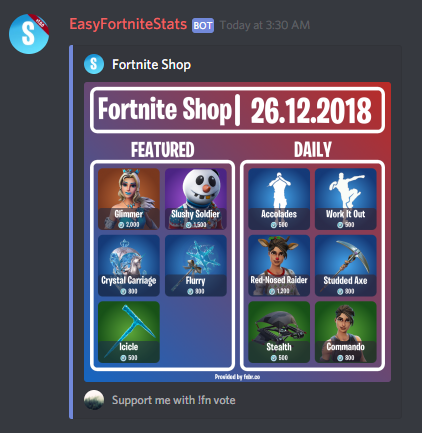 !fn shop Display the current Fortnite Shop. 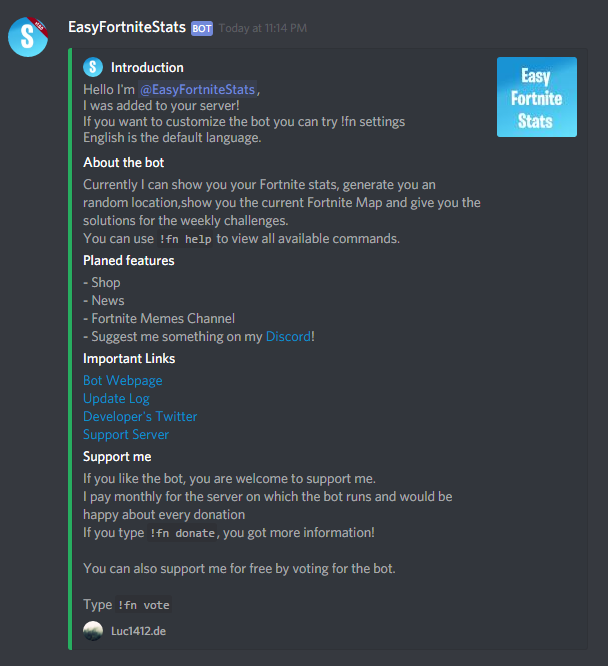 !fn info Display general information and stats about this bot. !fn rdm loc Display a random location on the map. !fn map Display the current Fortnite Map. 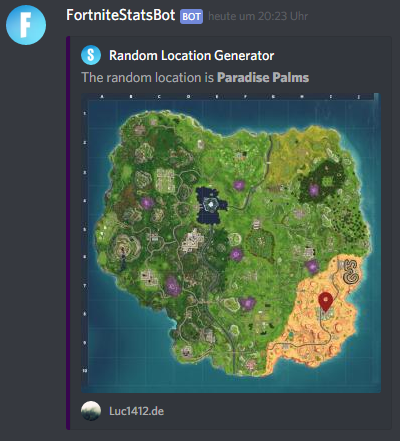 !fn link [Player Name] Link your Discord Account with your Fortnite Account. 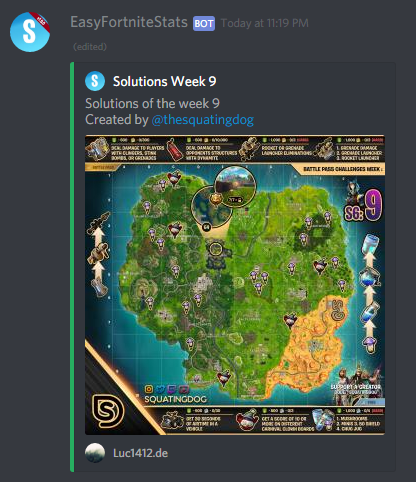 !fn unlink Unlink your Discord Account from your Fortnite Account. !fn event Get latest Fortnite Event Infos. !fn vote Get the vote instructions and check vote status. !fn premium Get Premium Info & Instructions. !fn invite Get the Invite Link from the Bot.